The December 2015 Holiday issue of Hello! 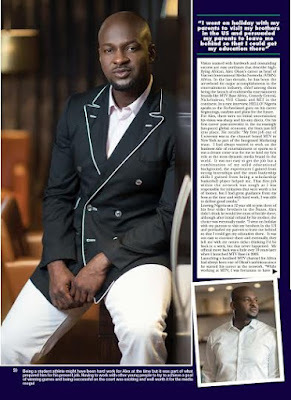 Nigeria magazine sees entertainment mogul and head of Viacom International Media Networks Africa, Alex Okosi grace the cover. 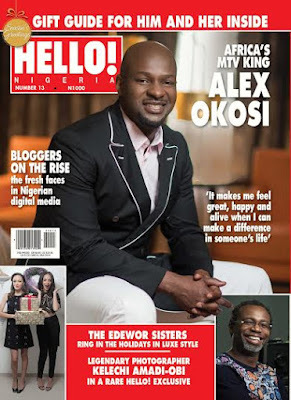 Looking suave on the cover, Alex sits down with Hello! 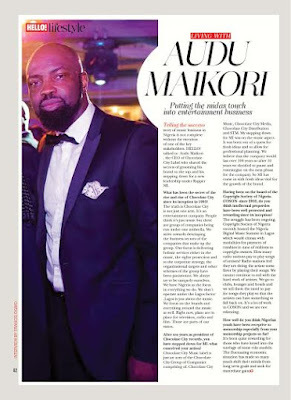 in a rare exclusive interview discussing his rise to the top and bringing MTV Base to Africa. “I’m passionate about being a good person and I’m obsessed with things being perfect. I don’t like excuses for what wasn’t done and I feel that, for most things, if you set your mind to it, you can make it happen.” he tells the publication. 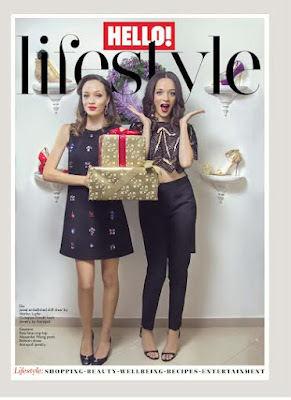 Staying in the Christmas spirit the lifestyle section section celebrates the season with a luxury fashion editorial featuring stylish sisters Eku Edewor and Kessiana Edewor-Thorley as well the perfect holiday gift guide.